They started smoking at an early age and were encouraged to continue smoking while serving in the military. Unlike everyone else who has gotten sick or died from smoking, they mistakenly thought they would never be affected by it. Many of them were able to stop smoking in the past for a few weeks, a couple of months, or even longer. They thought they had beaten their smoking addictions, but they eventually started smoking all over again. At some point they all came to the false conclusion that it was impossible for them to quit smoking. They began to tell their family and friends that they enjoyed smoking too much to quit. They also made other excuses, like saying they were afraid of gaining weight or losing friends who were still smokers. If this sounds like you, then more than likely you are (or have been) addicted to smoking, just like they were. What they all learned while going through the stop smoking program at the VA is that smoking can be one of the most difficult addictions to stop (smoking can be even more difficult to quit than drugs like heroin and cocaine.) They also learned that, without exception, they will all eventually get sick and die from smoking if they continue to smoke or use tobacco. And last, but not least, they learned that most people cannot quit smoking on their own. With the right medicine, guidance, and support, however, everyone can stop smoking. It was under the guidance of the doctors, nurses, and staff at the VA medical center, as well as with the support of their loved ones and fellow veterans, that these veterans were finally able to quit smoking. It was much easier than any of them had imagined once they accepted the help and applied what they learned from the VA’s stop smoking program. All veterans proudly served their nation in one branch of the U.S. military or another, and many of them fought in wars all over the world. They worked hard, followed orders, and did what they knew was right for their country. Now it’s time for them to take care of themselves. If you’re currently a smoker, or know of someone who is, please take the time to read the information found on our web site. 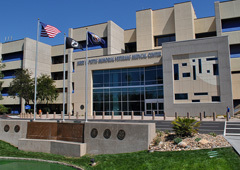 Then, contact your VA doctor and ask for a referral to the smoking cessation program at your local VA medical center. It really does work.